If you struggle to pay attention, act impulsively, or suffer from uncontrolled periods of inattention or hyperactivity, you may be suffering from adult attention deficit/hyperactivity disorder (ADHD). While there is not yet a large body of research on natural remedies for ADHD in adults, a new double-blind, placebo-controlled study found one supplement to be both safe and effective. 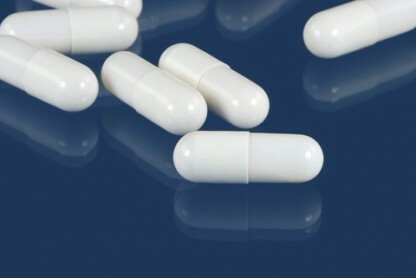 Investigators at the University of Canterbury, Christchurch, New Zealand, randomized 80 adults with ADHD to two study groups: 42 adults received the micronutrient supplement (15 capsules per day, in three doses of five capsules, taken with food and water), and 38 took a matching placebo for eight weeks. According to the researchers, more than 20 published studies have examined this formula for various mental conditions, but this was the first trial to be masked—which means that neither the investigators nor the patients know who was receiving the supplement and who was received placebo. They also stated that the supplement has a good safety record, even for long-term use. The supplement induced statistically significant improvements in many areas, including ADHD symptoms and functioning. Adults taking the supplement reported greater improvement in both inattention and hyperactivity/impulsivity compared with those taking a placebo. Friends and partners also noted improvement in hyperactivity/impulsivity. Healthcare providers rated the patients taking the supplement as functioning better in terms of their work, social relationships, and overall psychological functioning. Furthermore, adults with moderate to severe depression before the start of the study had improvements in mood, as compared with placebo. 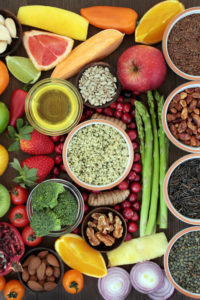 The investigators noted that this finding is consistent with other randomized controlled trials that show the benefit of vitamins, minerals, and other micronutrients in improving mood. There were no side effects that differed from placebo, and the researchers commented on the supplement’s good safety profile. “Our study provides preliminary evidence of the effectiveness of micronutrients in the treatment of ADHD symptoms in adults. This could open up treatment options for people with ADHD who may not tolerate medications or do not respond to first-line treatments,” said lead investigator Julia Rucklidge, PhD. The study is considered noteworthy for a number of reasons. It the first placebo-controlled study of this supplement. It was conducted by independent academic scientists who were not funded by any manufacturers. They studied a broad-spectrum vitamin plus mineral formula. “Single-nutrient research does not respect the fact that we need all these vitamins and minerals every day, and in balance. This means this vitamin plus mineral intervention is more ecologically valid than many studies,” notes Bonnie Kaplan, PhD, from the University of Calgary in Alberta, Canada. EMPowerplus contains 14 vitamins, 16 minerals, three amino acids, and three antioxidants. A full list of the ingredients can be found here. The supplement is basically a high potency vitamin/mineral with an added proprietary blend containing 670 mg (per 4 capsules) of choline bitartrate, DL-phenylalanine, citrus bioflavonoids, inositol, L-glutamine, L-methionine, grape seed extract, ginkgo biloba leaf, germanium, boron, vanadium, and nickel. The supplement can be purchased online directly from the manufacturer. It is quite expensive, especially if one was to take 15 capsules per day as was used in the study. It is not clear as to why the researchers chose 15 capsules per day as the study dose. The product’s recommended dose is 4 capsules twice a day, according to the label currently on Truehope’s website. If you choose to try this particular supplement for adult ADHA, take only the recommended dose (4 capsules twice a day) unless you are working with a physician trained in natural or integrative medicine who instructs you otherwise. The formula contains certain ingredients, such as vitamin A and iron, which can be dangerous in high doses. Do you or does an adult you know suffer from ADHD? What natural remedies have you tried? Share your experiences with our readers in the comments section below. Br J Psychiatry. 2014 Apr;204:306-15.
adhd, adult adhd, amino acids, antioxidants, boron, choline, depressed, depression, food, ginkgo biloba, grape seed extract, integrative, iron, l glutamine, medical news, mood, natural remedies, natural remedies for, natural remedies for adhd in adults, severe depression, side effects, supplement, vitamin, vitamin a, vitamins, vitamins and minerals, vitamins minerals.